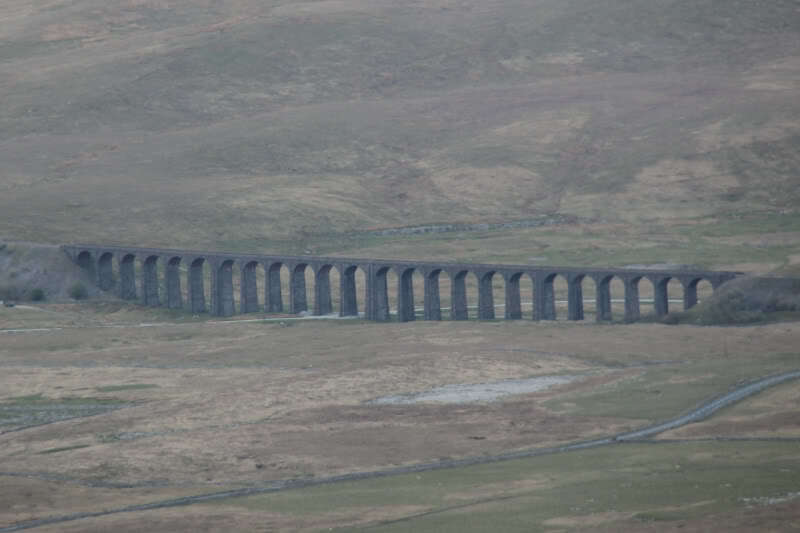 I set off at 4am this morning, destination Clapham in the Yorkshire Dales, for an ascent of Ingleborough. 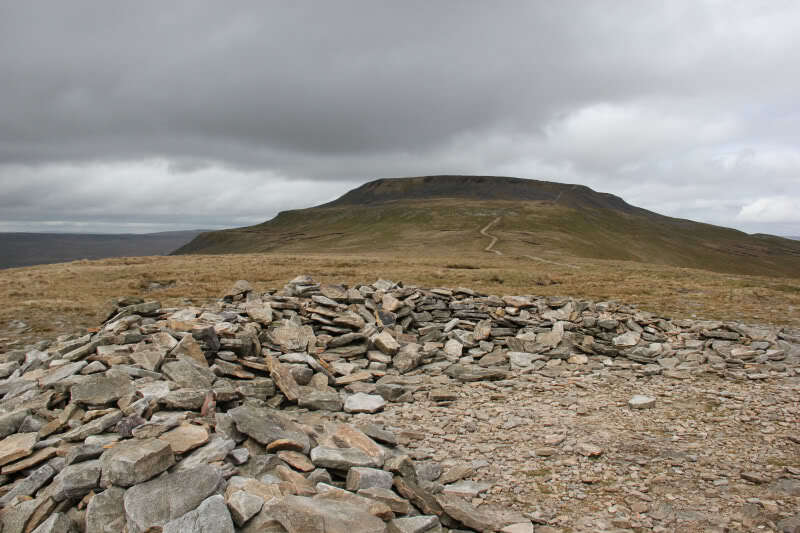 Of all the hills in England, Ingleborough was at the top my 'most wanted' list . After several hours of driving, I needed a short break. 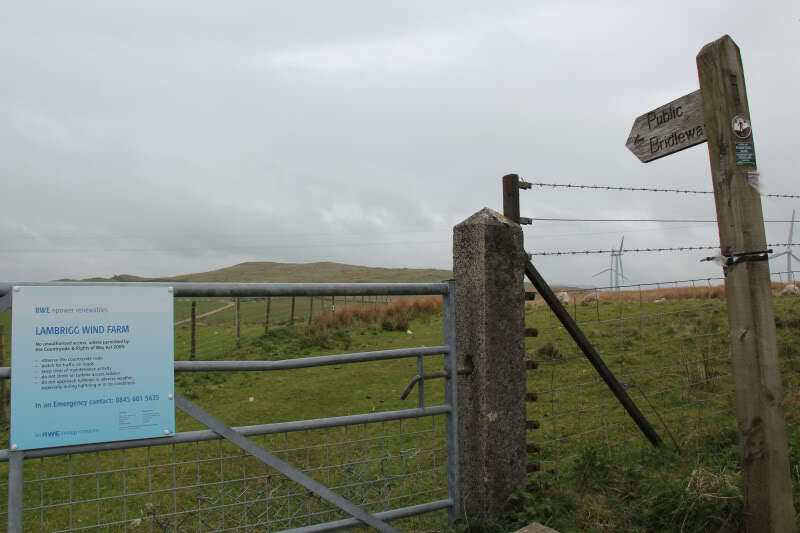 My Satnav advised me of an easy Marilyn only a short drive away, so I got out for a wee leg-stretch up Lambrigg Fell. 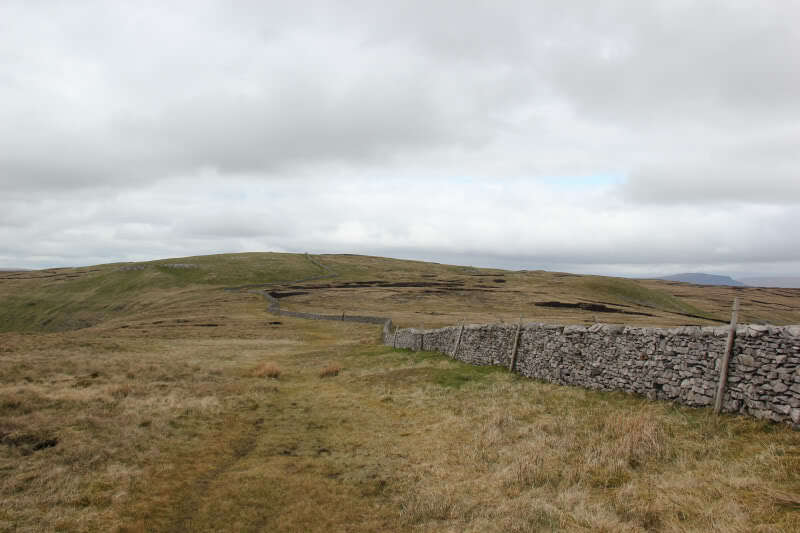 Lambrigg Fell is in South-East Cumbria – the high-point between Kendal and the M6. 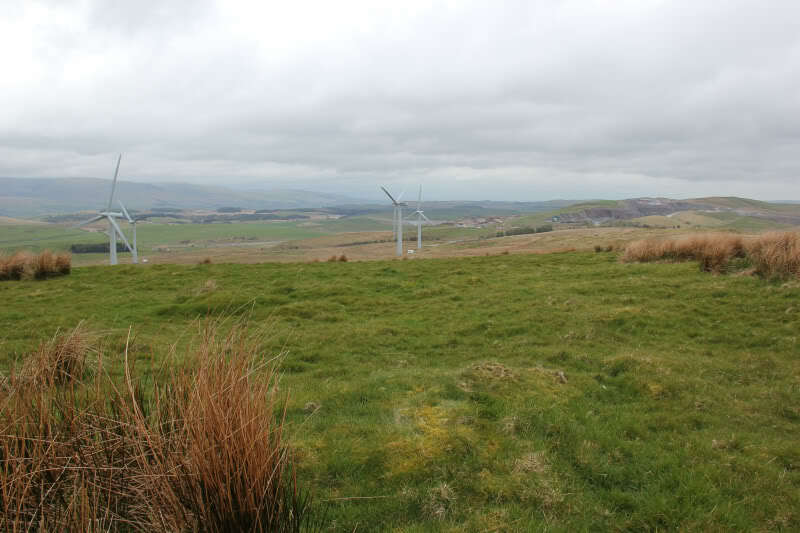 I parked beside a quarry, opposite the Lambrigg Wind Farm. 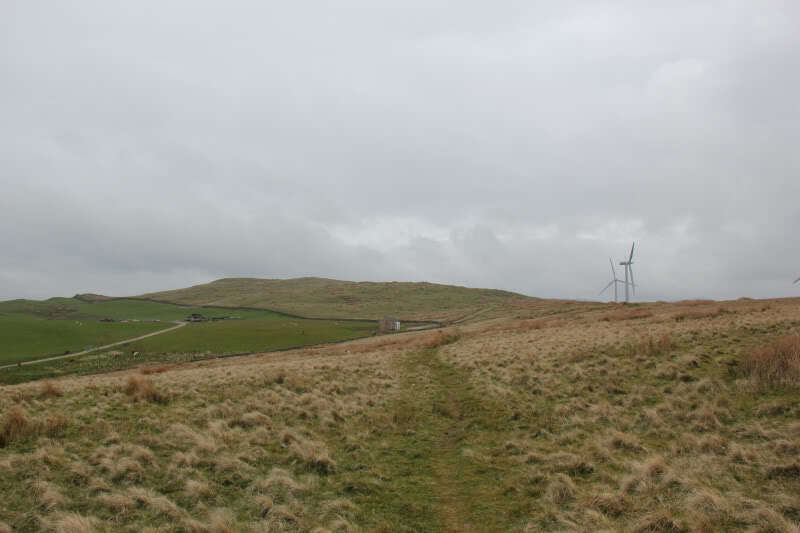 I followed the Public Bridleway in the direction of Lambrigg Fell. During the walk-in I spotted a small bird that I couldn't identify. 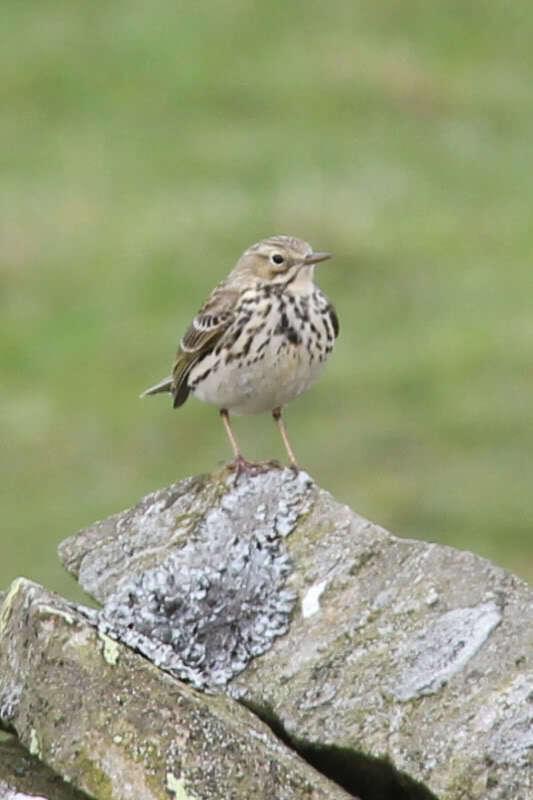 Have since confirmed that it is a Meadow Pipit. 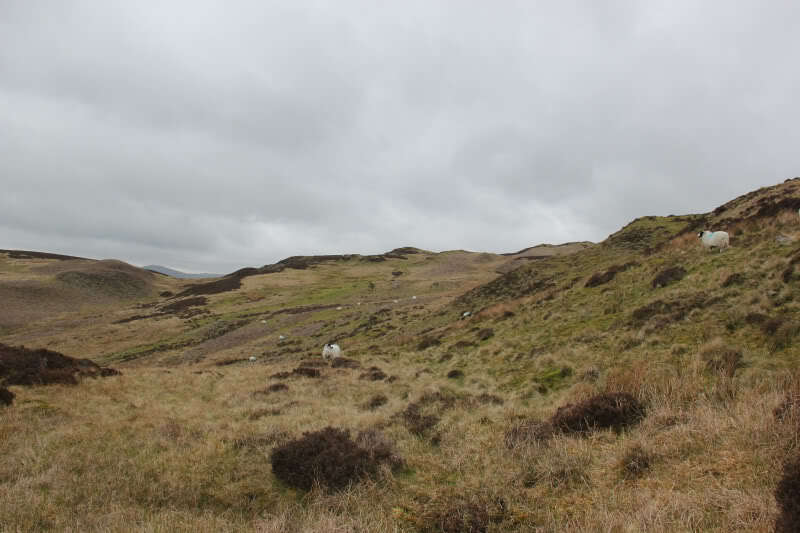 The bridleway path was quite faint in places but I did my best to stick to it – no Outdoor Access Code in England! On reaching the summit area, there were several bumps that could potentally have been the summit. I visited them all just in case, but confirmed the actual summit on the GPS. On returning from the summit, I heard a strange rustling noise coming from some long grass. I went over to see what it was thinking it must be a large bird of some kind. On reaching the grass, a fox ran out just a few yards away from me. Closest I have ever been to a fox and the first fox I have ever seen on a hill . However, by the time I got the camera out, lens cap off and ready to take a photo it was long gone! I returned to the car via the same route and then drove to Clapham. 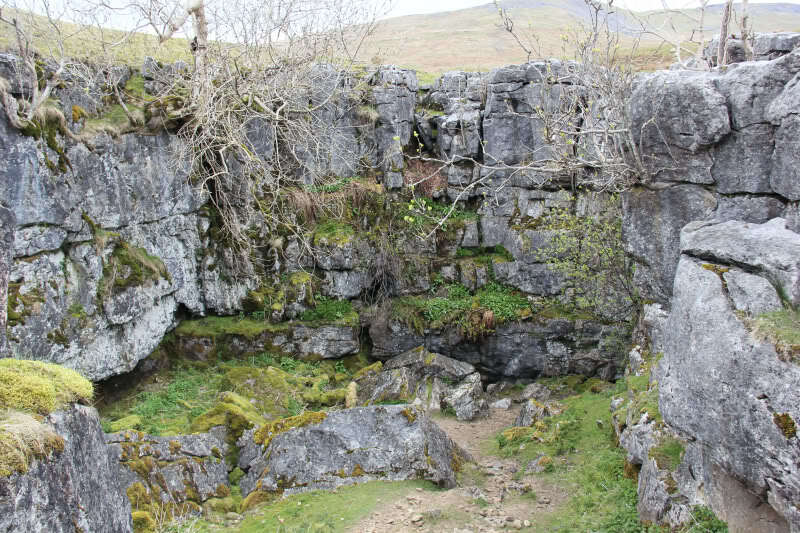 I parked at the roadside beside the waterfall viewpoint near the entrance to the Ingleborough Estate Nature trail. 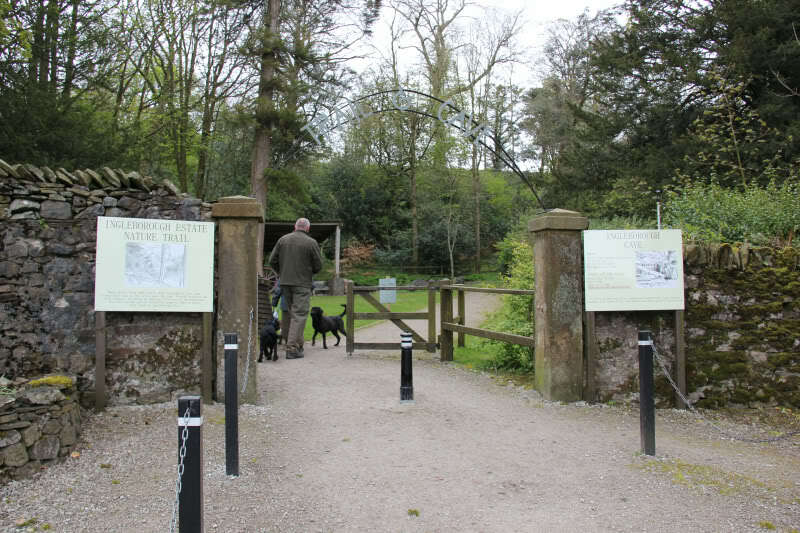 On passing through the gates, I was surprised to find that this is a toll path. 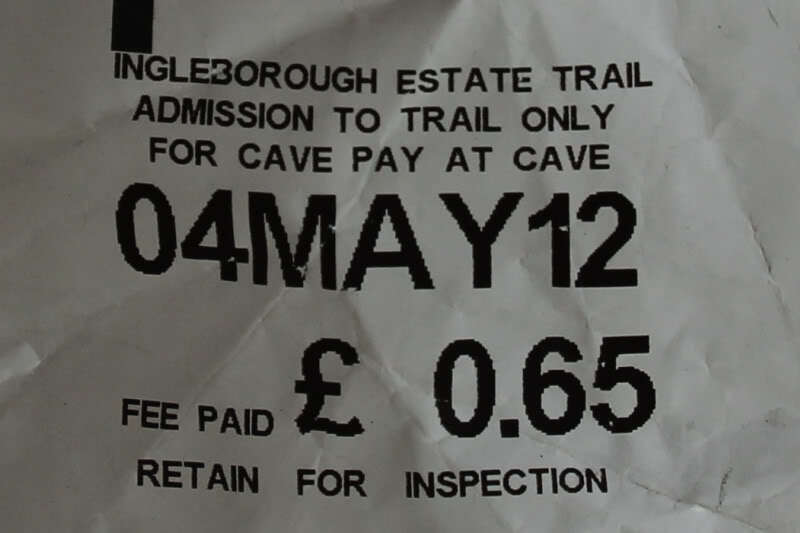 You have to pay 65p to walk along the path! I had to return to the car for change. 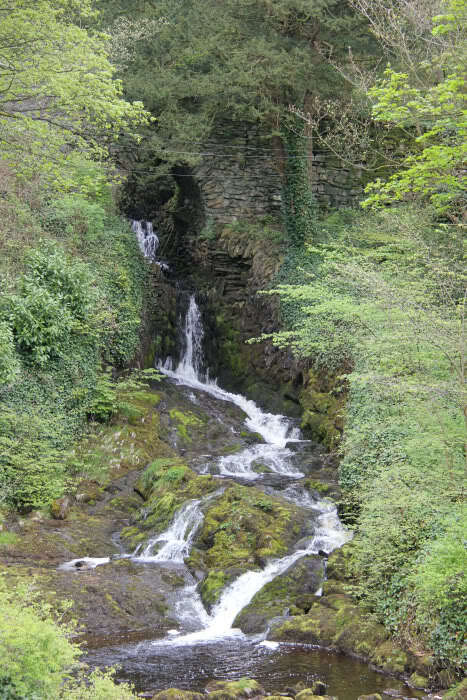 I didn't grudge paying 65p, especially when a short distance along the path I spotted a Nuthatch and a Dipper. There were also loads of swallows catching insects above the lake. On the map the lake is called, “The Lake”. Makes sense . 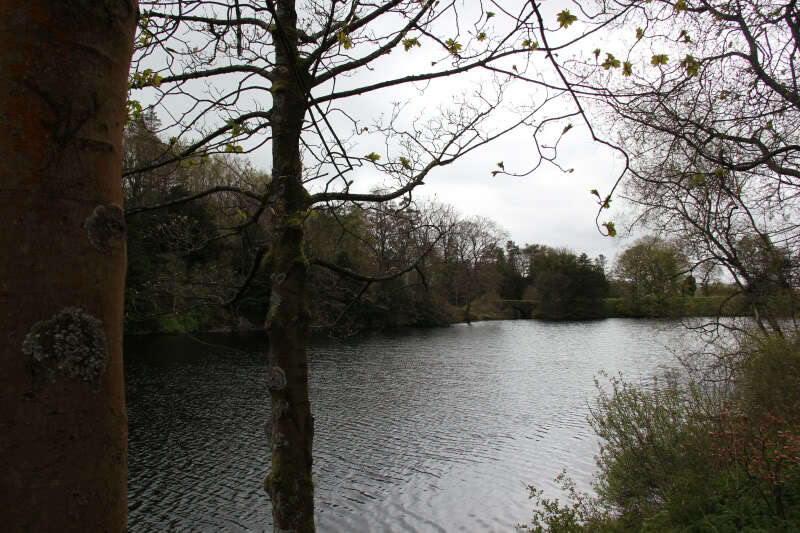 It is a really nice lake – worth paying the 65p to see it. 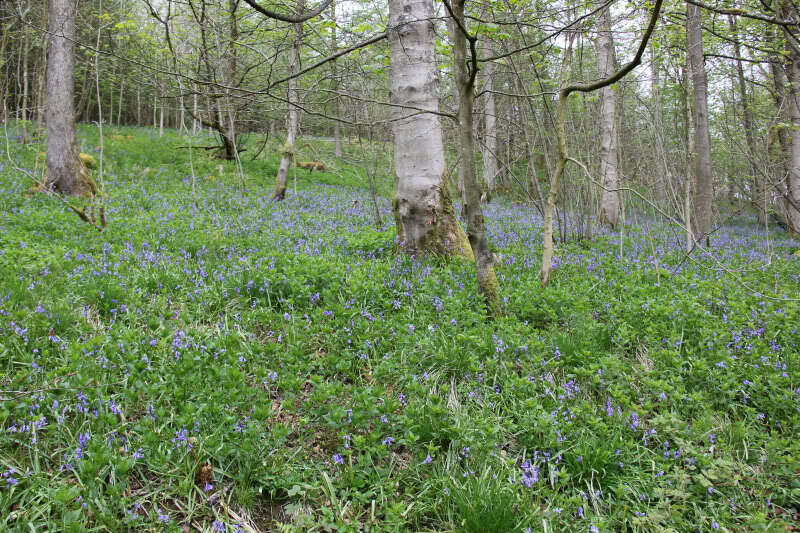 Beyond the lake, the track passed alongside large areas of bluebells. 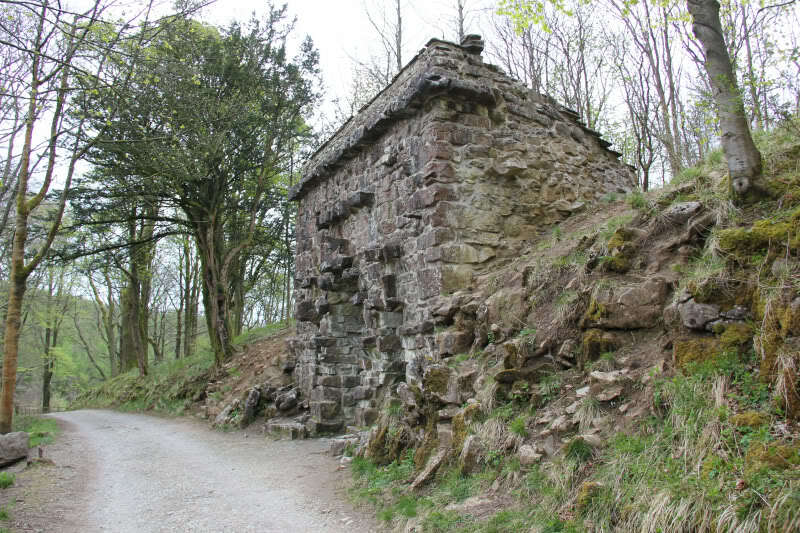 A short distance before reaching Ingleborough Cave, I passed a strange building. I haven't a clue what it was for. 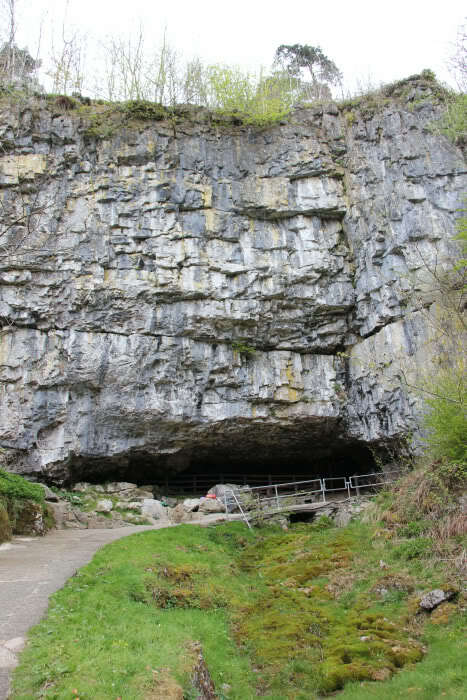 There were hordes of school children around about Ingleborough Cave. Had it been quieter, I would likely have went in. But today, I didn't fancy paying £7 entry to join the hordes. 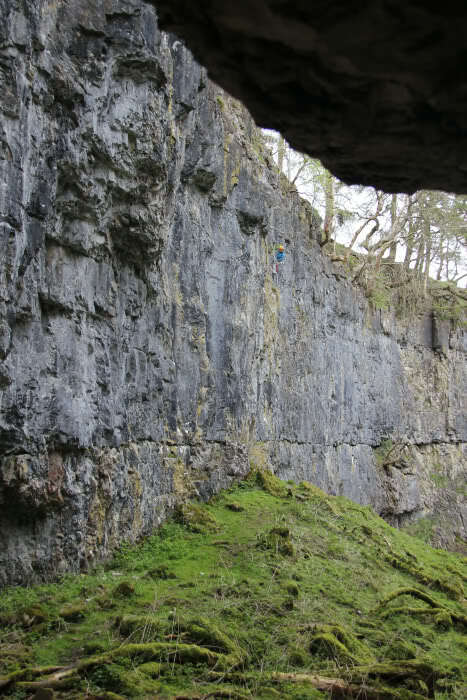 I was really surprised that beyond Ingleborough Cave, I only saw five people during the whole walk – two climbers and three walkers. I wrongly assumed this would be a busy hill. 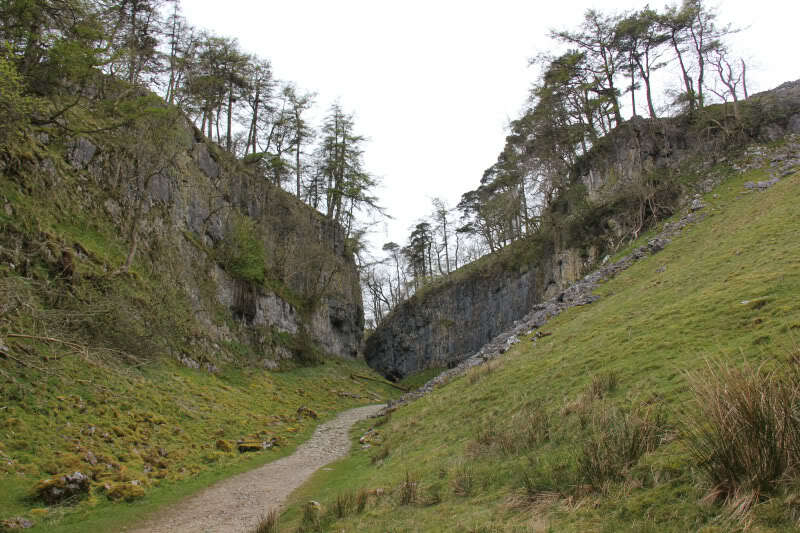 On reaching Trow Gill, the rain was starting to irritate me. After every photo, I was having to clean raindrops from the camera lens. I took shelter from the rain for a few minutes under a large overhang. The rain stopped soon thereafter and stayed off for the rest of the walk. 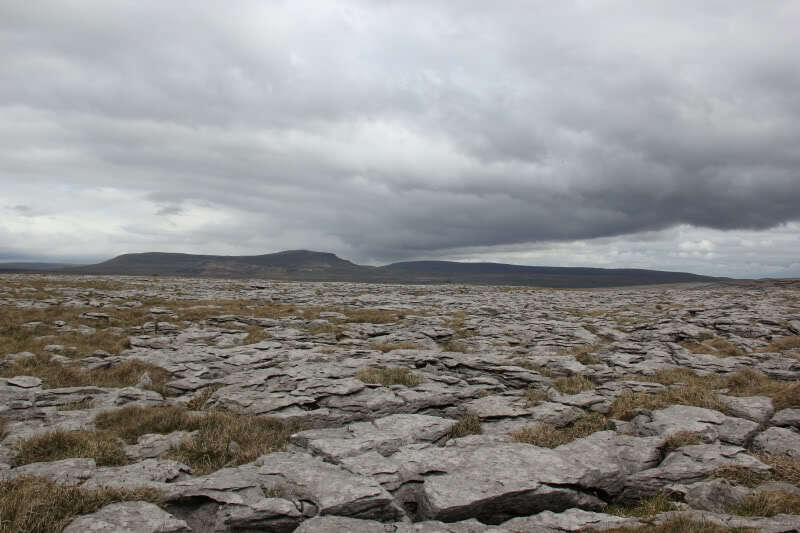 As I walked along the track, I used Viewranger on my iPhone to make sure I visited each pothole. I walked down to the entrance of the first one on the map. 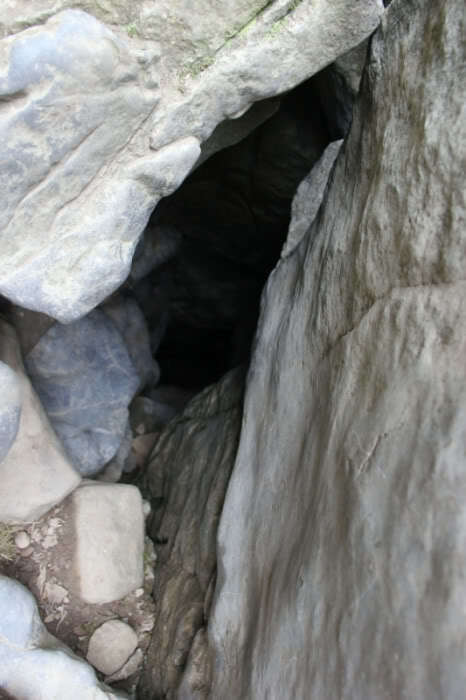 Just inside the pothole, I could see a climbing bolt drilled into the wall. 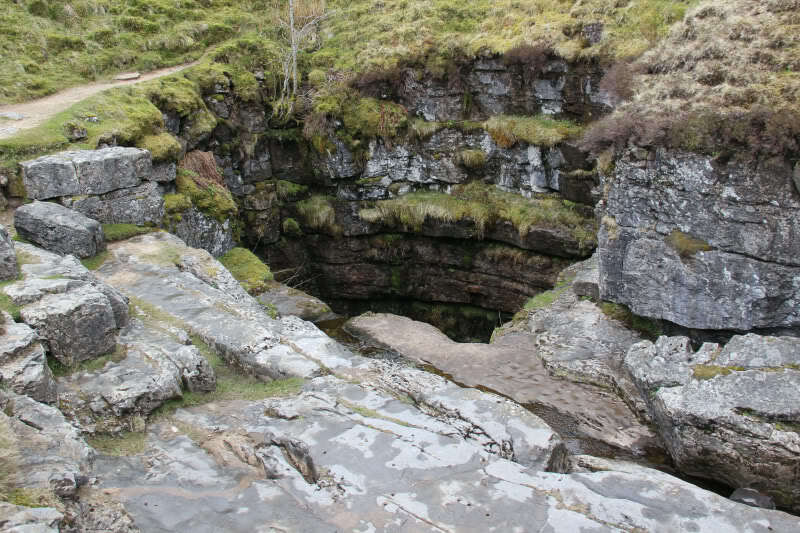 The best pothole of all, by a long shot, was Gaping Gill – a 105m deep pothole. I went as close to the edge as I safely could without falling in. 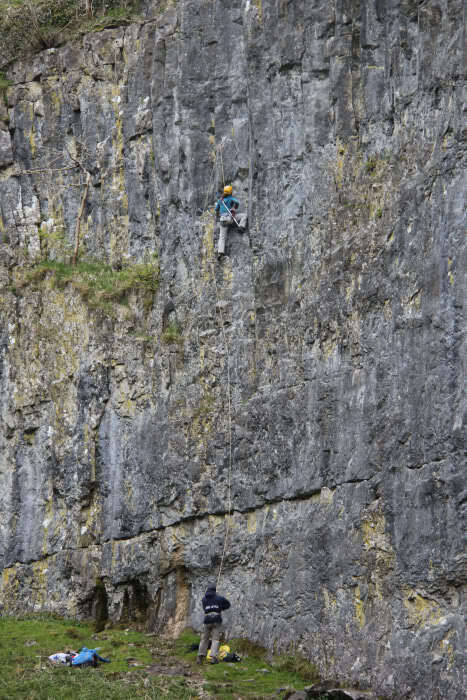 Falling 105m would be ouch! 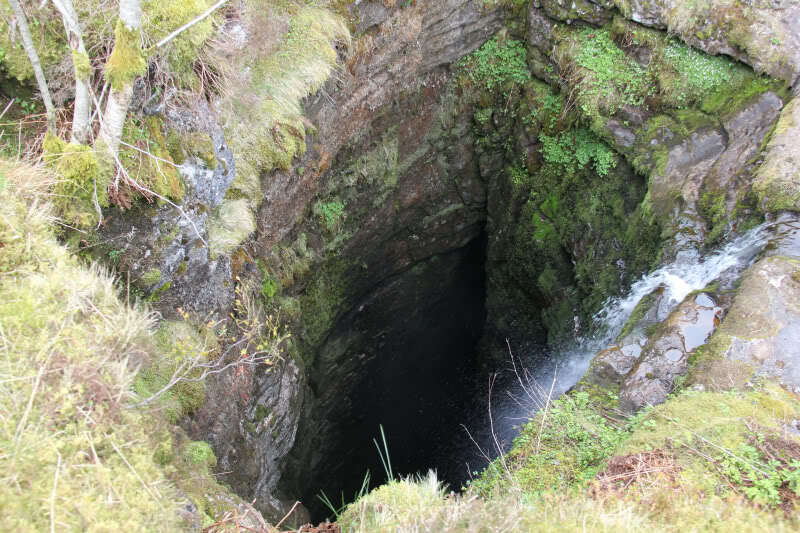 I think it would be pretty cool to abseil down into the pothole – I'm just not sure though that I would trust the two rusty stakes, hammered into the grass, that are used as anchors. Probably fine but I'd be happier with nice shiny new stakes . 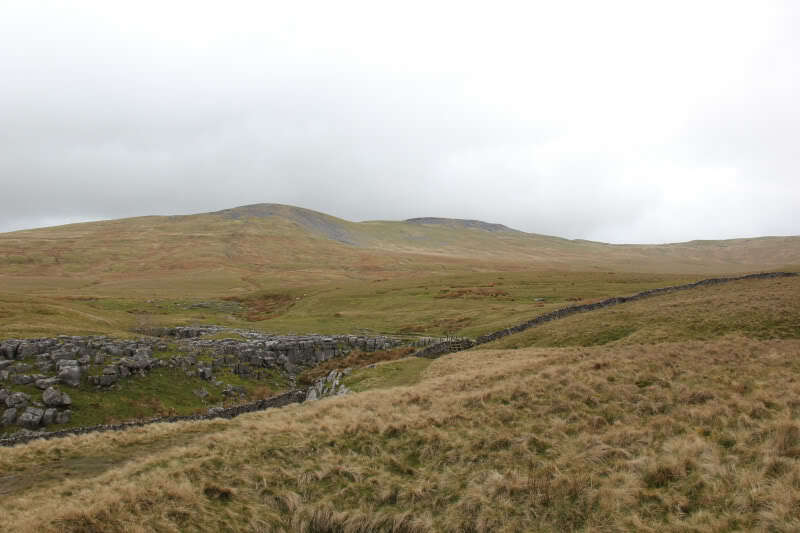 From Gaping Gill, I returned to the path and then made my way up Ingleborough. 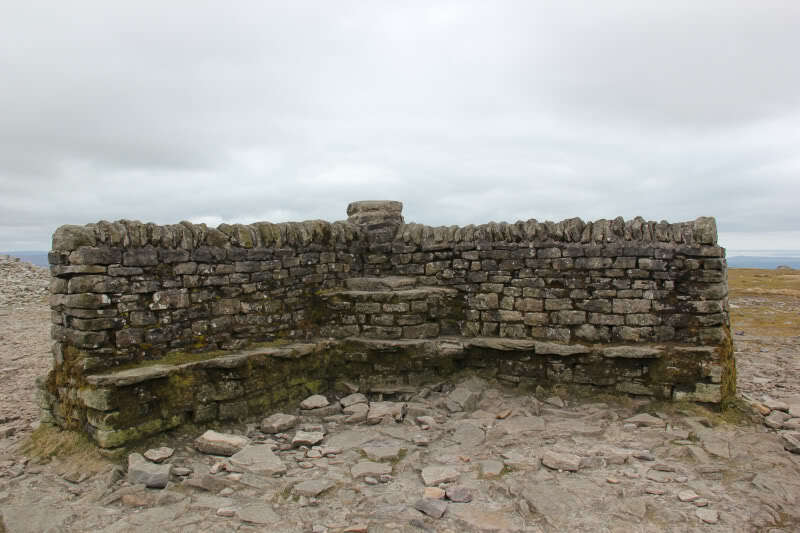 The upper path up Ingleborough is constructed using really nice flagstones. 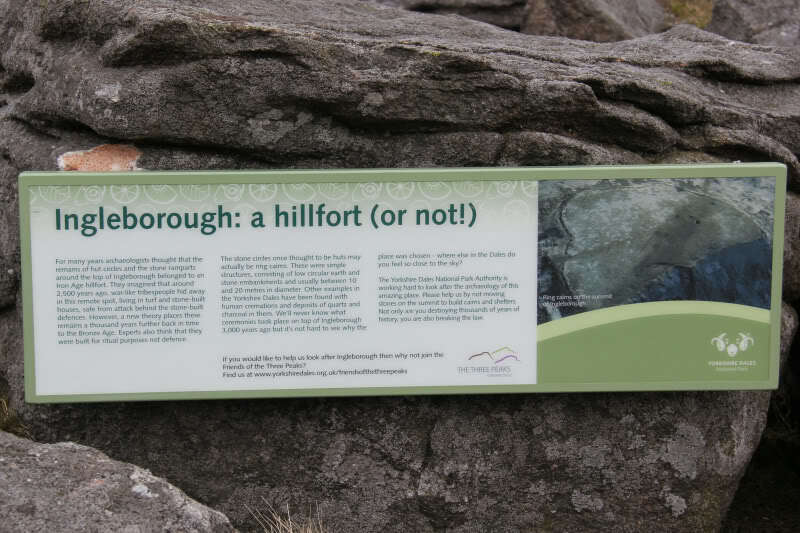 As I approached the summit of Ingleborough, I passed a sign with some information about Ingleborough summit being a former hillfort. 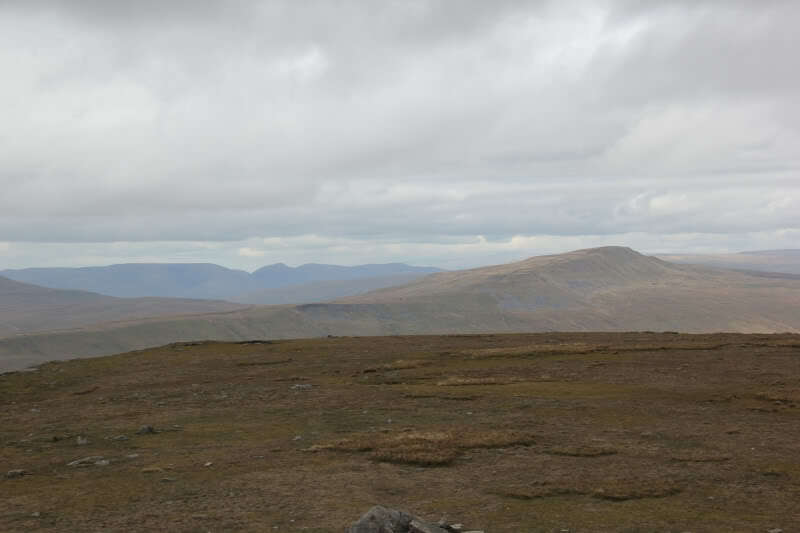 It was nice to reach the summit, albeit views today were a bit disappointing. 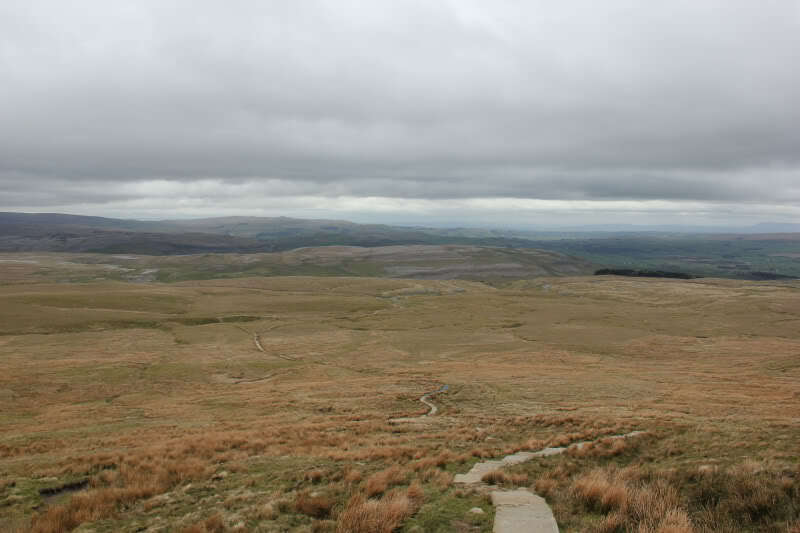 Whernside and Pen-y-Ghent both look nice hills. 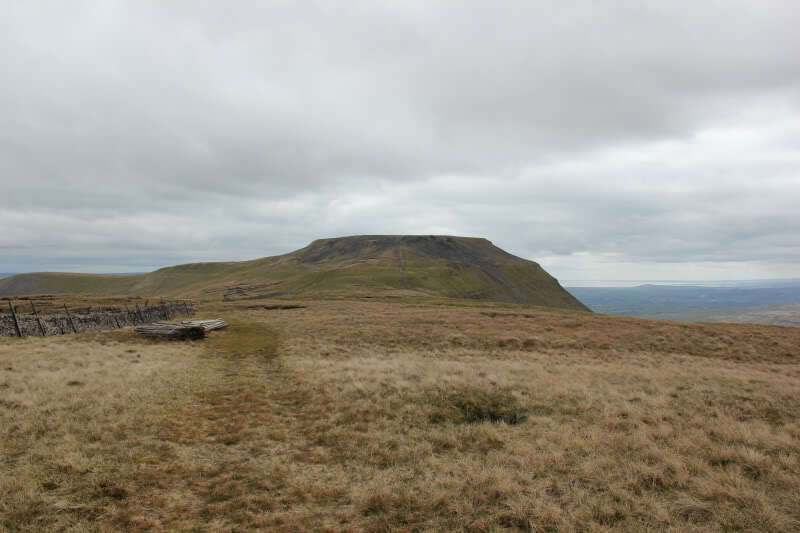 I don't fancy doing the Three Peak Challenge though – doing the three in one walk. 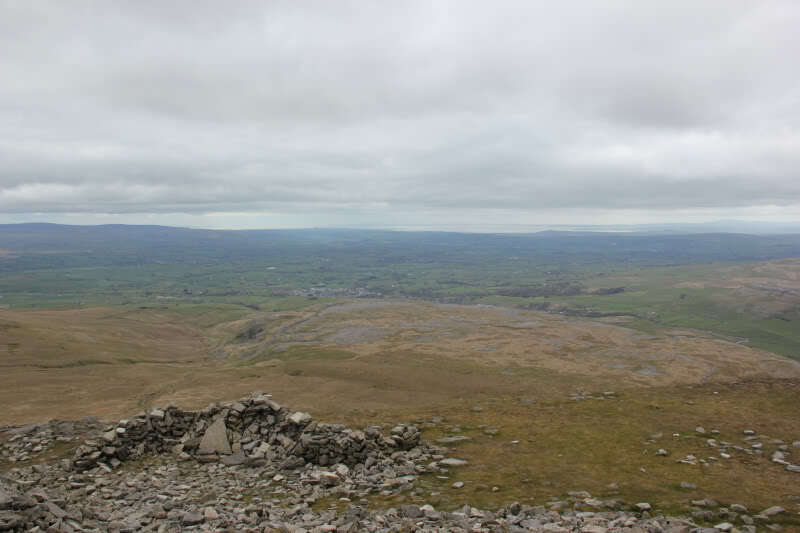 From the summit of Ingleborough, I made my way across to Simon Fell, a Hewitt. 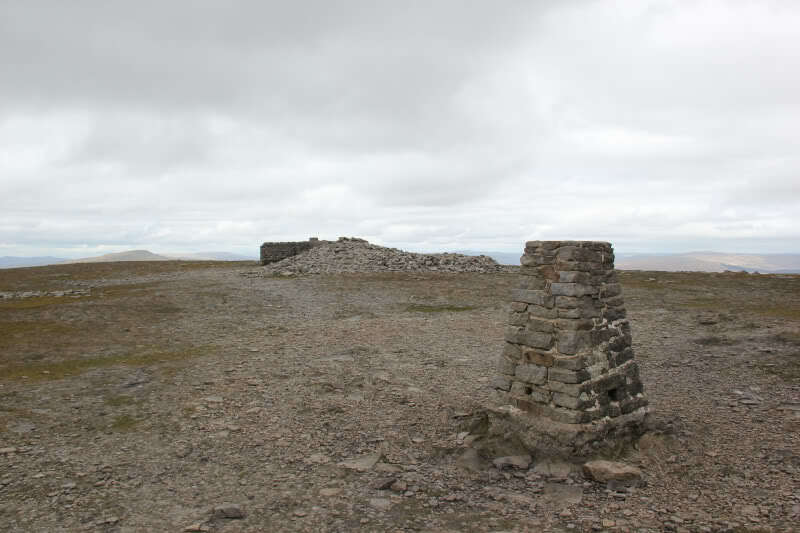 From the summit of Simon Fell, I returned to the bealach between Ingleborough and Simon Fell – to avoid having to climb over a barbed-wire fence. 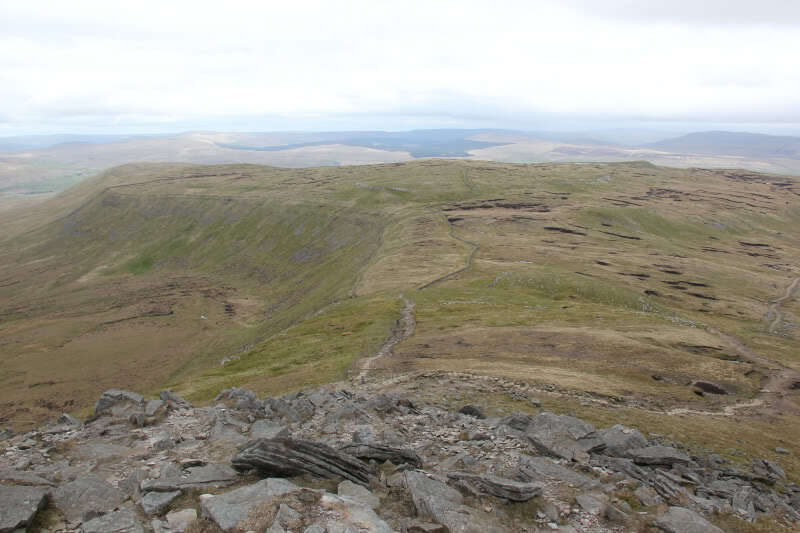 I then descended towards Nick Pot. 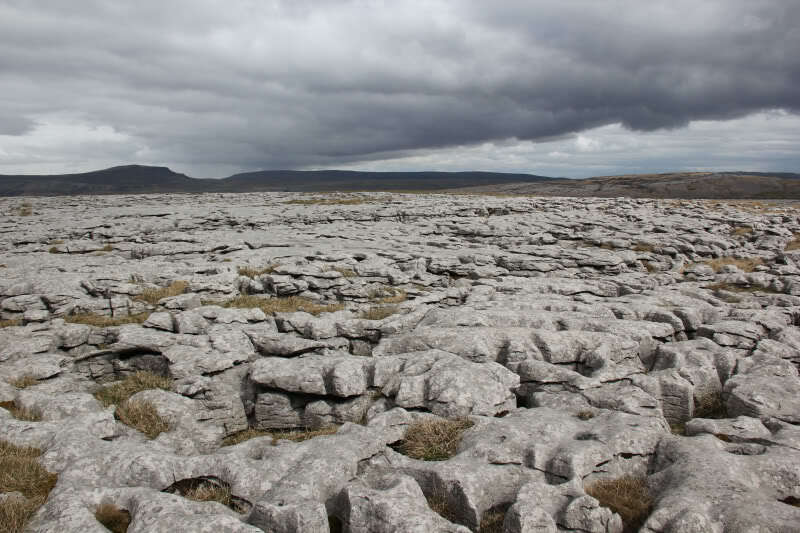 I was really impressed with the limestone pavement that I walked through on the way back. 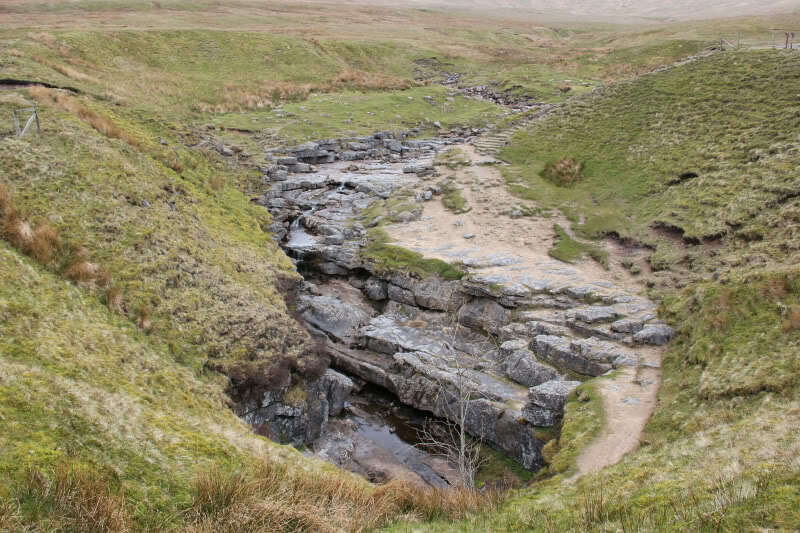 On reaching Long Scar, I stuck to the upper path, passing above Ingleborough Cave on the way back. 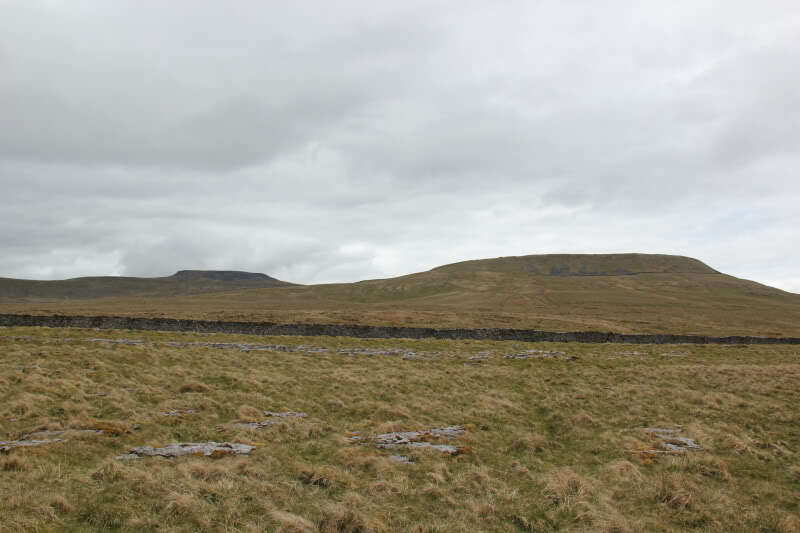 However, a short distance beyond Ingleborough Cave I noticed a path marked on the map leading across to the main toll path. 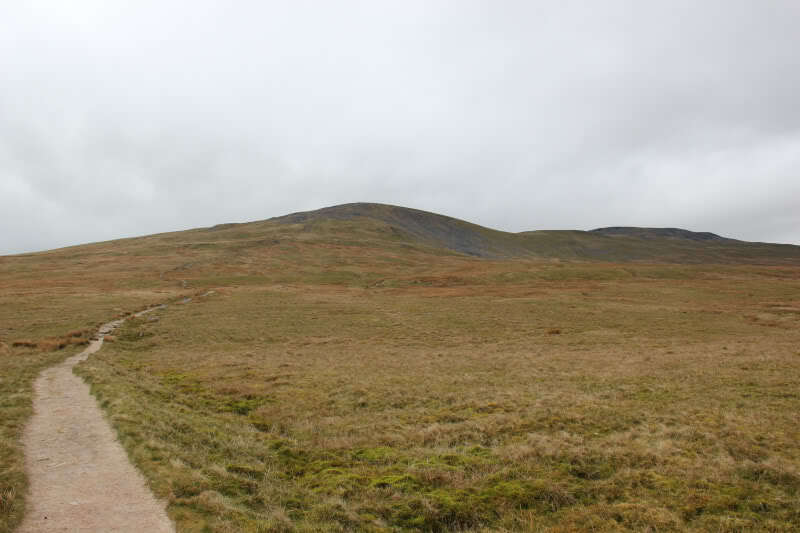 I really enjoyed Ingleborough but found it quite hard on the feet – as most of the walk is on hard track. If doing this walk again, I would wear trail shoes. I would definitely do this walk again!